Onleilove Chika Alston is the founder of Prophetic Whirlwind, an organization (and upcoming book) that provides research, teaching, and workshops helping uncover the Black roots of the Bible, women’s theology of liberation, African and African-American Hebrew history, and a theologically sound response to community organizing and social justice work. She also provides leadership for PICO-Faith in New York, a major activist network working on issues of poverty, hunger, workers’ rights, and the rights of people who are incarcerated. Her research and perspective upends what many listeners will know about Christianity or Biblical teachings—and the framework she shares has key insights for the way we think about gender, race, nationalism, and poverty. Stephanie: You’re listening to In Times Like These, a production of CLU Live at Claremont Lincoln University. In Times Like These explores the difficult spaces we humans navigate in culture and religion, in dialogue and doubt. Onleilove Chika Alston is the founder of Prophetic Whirlwind, an organization and upcoming book that provides research, teaching and workshops, helping uncover the black roots of the Bible. This work is important for all of us, Christian, Jewish, or non-religious, black or white, woman or man. Understanding how translation, history, and religion can serve oppression or liberation is key to current work in civil rights and social justice. In this episode, we talk about her scholarship, why certain teachings get obscured, and how uncovering accurate history and translation can realign our sense of that which is holy, and that which is just. Onleilove: So thank you so much for having me. My name is Onleilove Chika Alston. I’m the founder of Prophetic Whirlwind: Uncovering the Black Biblical Destiny, which is basically a teaching ministry that was started about now, four years ago. Just seeing a lot of millennial and young black folks on social media trying to navigate their faith in the light of police brutality, and racism, and myths like the Bible is a white man’s book. I started posting on social media just little facts about the black presence in the Bible, and African roots of the faith, and then two women from Trinity Wall Street, the oldest church in New York City, Roberta Todd and Roz Hall, who were also part of the Union of Black Episcopalians, invited me to Trinity to do two weeks of workshops on the black presence in the Hebrew Bible, the Old Testament, and the black presence in the New Testament and early church history. Onleilove: Then from there, people were like, “Do you have a website? Do you have a book?” Then I started some social media pages, and then publishers started approaching me about books. I signed a publishing contract with the new imprint, Voices Publishing, which is to elevate the voices of black faith leaders. It’s an imprint of Kilns College, which is a Christian college out in Seattle, and tried to find the right publisher who would not muzzle the research or try to water it down. Some publishers were excited, and then it’s like by the time they finish with the edits, it’s like not really what I wanted to put out. Onleilove: A part of my research has been African Hebrew communities, or some people may say African Jewish communities, not so much in Ethiopia because there’s a wealth of knowledge about that, but actually in Sub Saharan Africa, in tracing their migration routes, even some who have lost people to the Transatlantic Slave Trade, and the Trans-Saharan Slave Trade. The purpose of my book is not just to look backwards and feel proud for ancient biblical history, but to have inspiration to fight for the black freedom movement today, regardless of your race. I’ve spoken in Israel, Ghana, Nigeria, at Why Christian before, like all types of people at Called To Action, a Catholic conference about the black Madonna and Guadeloupe. That’s a little bit of my research, but for 10 years I’ve done faith based advocacy and organizing. 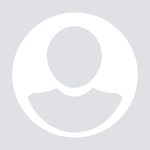 Onleilove: For about almost four years I was the Executive Director of Faith In New York, which was a federation of over 70 congregations that did faith organizing in New York City. We were a part of the PICO network, which is an international organizing network. A little fun fact, Ryan Coogler, who wrote Black Panther, his mom was one of the people who helped build PICO. As I was coming in, she was actually retiring. Then her son blew up, so she raised him well. You always see social justice things in his films. I also write and speak, and I’m on the board of directors for Sojourners. For me, even my research has a kind of social action call. My book comes out in April, and at the end of the book is kind of a call for action. Stephanie: Okay, so I have to ask you, I grew up Christian. I grew up memorizing the Bible verse. I could do a sword check and have my Bible and find the text and repeat it, and sing it, and sing songs. I went to seminary. I was in my 30s before I ever heard about black people in the Bible, or black people in the history of Christianity let alone the history of the Hebrew Bible. Tell me why this is missing from mine, and I think many Americans’ sense of Christianity, and sense of the Bible. Onleilove: I think it’s missing because it’s been left out. Even when we look at certain translations of the Bible, remember Professor, the late Wyn Wright our Hebrew Professor, when you look [bob 00:05:54] in Hebrew it can mean and or it can mean but. In many Bibles, Song of Solomon 1:5-6 says, “I am dark but lovely,” but the correct translation in the Hebrew is, “I am dark and lovely,” which takes it from being an apology for darkness to a celebration for darkness. That’s one way that the blackness in the Bible has been downplayed. When you look Simon of Cyrene, or Simon the Niger, Niger means black in Latin is the African nation today. Onleilove: But even when you read the research of Dr. Thomas Olden, who’s a white … He passed away, but he was a white United Methodist man who had a crisis of faith. A Jewish rabbi told him he needed to look to the early church fathers. When he did, he found out most of them like Origin, Augustine, they were African men. He wrote The African Influence on the Christian Mind. He wrote The African Memory of Mark because the Apostle Mark was actually born in Cyrene, died in Egypt. He was a Levite Jew. Thomas Olden believes him and Simon the Niger were related. Onleilove: Simon is one of the few characters that we allow to be black, like the black guy that helped Jesus carry the cross. Which, everyone else is lily white and then a random black guy comes, that doesn’t even make sense. But his songs actually go on to carry the gospel to Greece. In some parts of Greece, they’re lifted up. We’re taught that Europe brought the gospel to Africa, but actually the gospel then had traveled from north to south and it didn’t travel from west to east. It traveled from south to north and east to west. It’s actually a African man and his family taking the gospel to Greece. Onleilove: Why has that been erased? Niger means black, but even when you look at Simeon, his name in Hebrew it can even mean black nose. Not trying to be whatever, ignorant, I don’t think a more flat nose is negative, but who usually has a flatter nose? These are things that are hidden. What we have to understand is modern racial categories did not exist in the Bible. So white, black, Asian, these are just big groups that many diverse peoples have been dumped into. We put Indian people today in the Asian category, but actually biblically they’re Cushite, East Indian people. They’re related to Ethiopians and you can tell because they look alike. Even non-religious Indians will even mention that connection, Cush. Onleilove: In the Bible, you will not see Indian. You will not see black. You will not see white. You will see Cushite. You will see Hittite. You will see Hebrew. You will see Egyptian. People were more identified with their tribe than these big racial groups. Today when you dump whole millions of people into huge racial group, is an Italian the same as an English person culturally, language-wise, looks? Not really, but in this country they’re all made to be the same. But at one point, Italians were not seen as white. You won’t find black or African in your Bible, especially in the Hebrew Bible. You will find tribal names, and then what you need to do is research ancient culture DNA and see what were the race of the people at that time. Onleilove: The Middle East was connected to Egypt, connected to Africa, until the Suez Canal was completed in 1869. It severed Israel from Africa for trade. But it was on the African land plate. Until the early 1900s it was referred to as Northeast Africa. These are parts of history that have been buried. Sometimes when Protestants were destroying icons like the common class, we were told, I was told it was so people would not commit idolatry by bowing to statues and photos, but then you realize the Orthodox church, many of their paintings … You remember the paintings that Professor [McDucken’s 00:10:20] wife would do, they were brown. Then you look at the black Madonnas and then you realize, were they destroying those icons and paintings to protect us from idolatry or to erase the blackness of the faith? You destroy those icons, but then everyone has a picture of white Jesus. Onleilove: We shouldn’t have any paintings of Jesus if that’s the case. You find out there were hundreds, there are hundreds of black Madonnas in Europe. I was shocked when I went to Switzerland and the town I was in had a black Madonna. But as a black woman growing up, going to Christian churches as a young woman, I never got to see a depiction of Mary who looked like me. But people in this random town in the Swiss Alps, they got to look at a black Madonna every day. Even when you look at the early Roman catacombs, you see the early Christians in the first and second century, they’re painting Bible stories and the characters … I’ve seen these pictures and they look, I mean black, like big Afros. These are Roman Christians. What do they have to gain for painting Jesus as black if that’s not how he looked? But again, it wasn’t thinking like this modern, black title. It’s just more so this is a Hebrew man, versus I’m a Greek person. Onleilove: I think some people have omitted this information just out of ignorance. I do think at different points in history there has been a coverup. There have always been people trying to bring out this information, but now it’s rapidly coming out. Stephanie: Wow, this is key. When we talk about, as a Christian and as a Christian who’s majored in justice, when we talk about locating Jesus on the side of the oppressed, and we talk empire and white supremacy. Sometimes I think when I’m in white congregations we think white supremacy, Jesus is one of us and we’re going to go to the place of oppression and do something there. This information is upending that. It’s not that I have the power, I’m going to dane to come down and help somebody. We’re talking about locating divinity, Mary and Jesus, not in white supremacy at all. They’re not some kind white lady who’s going to decide to go help the poor people. It’s a totally different landscape. Radically different. What we’re talking about is political as well. Stephanie: We’re in a context right now in the United States in 2018 where talking about race can be dangerous. And yet, this reality is so primary and so central to the Christian story. Onleilove: Yeah, and even as we … The idea is not you as a privileged white person go help those people, bring Jesus to them. No, Jesus is those people. You’re going to have to, as the Apostle Paul said, be grafted in to those people. Like Dr. James Cone says, “Become black,” or I would say like become Hebrew. You’re going to have to be grafted in to the least of these because the least of these are literally God’s people scattered all over the earth. That goes into my research for some of the lost tribes of Israel that actually ended up in Africa, and many ended up in slavery. Onleilove: The fact that we’re even calling Jesus, Jesus, which is like what a Greek version of his name, when his name was Yeshua, or Yashua. Even in my congregation, we use Yashua. We also celebrate Passover and the biblical feast because we are paying homage to the Hebrew culture, that our Savior was born in, was formed in. Even for me mentally when I call him Yeshua, it’s putting me in a different mindset. It’s kind of like many of us who have African names, many African people will have … They call it their baptism name or their Christian name, and then they have their African tribal name. Onleilove: You know me as Onleilove, and that’s a name my mom and my aunt gave me. I love it a lot. But my father looked me and gave me Chika, which I found out in my research is an Igbo name which means God is supreme, or God is above all. The Igbos, they have origins from the tribe of Gad in the lost tribe, among the lost tribes of Israel. Archeology proves it, CNN has covered it, the Israeli government goes there. That’s a whole section in my book. But for many years I did not allow people outside of my family to know my name was Chika. You’ve known me what, maybe 10, 11 years now and you probably didn’t know that. I started using that name. Onleilove: Even how we have changed Yashua’s name, we’ve changed his image. It’s like if he came back, many white Evangelicals waiting for the Rapture, left behind. But if he came back, you probably wouldn’t accept him the way he is. It’s very political. If people want to say they’re a follower of Yeshua or Jesus, it’s like you have to be grafted into his family. His family may look very different than the average American white Evangelical family. Are people really willing to see the Savior for who he is, and to see his people for who they are? Onleilove: The fact of the matter is, when the Bible was being written by scribes, the people in the Middle East today are not necessarily the people that were in the Middle East 4,000 years ago. There have been invasions. When the Greeks took over Egypt, they were pushing inter-marriage and discouraging Egyptians from marrying each other. Many of the people in Sudan, which was known as Nubia, were the ancient Egyptians that got pushed out. Even this bust of Nefertiti that has come out, that’s fabricated. We can’t go by who we see in a place today. That’s like saying you and I are Native Americans. We’re not. Onleilove: Just because we’re living here now, that’s not who lived here 4,000 years ago. These are the things that we really need to pay attention to if we want to do liberation theology, if we really want to decolonialize our faith. We talk about all of this, but then we still hold the same image. Even in professor Christian circles we still have the same image of the people in the Bible. It’s funny because a lot of my knowledge about lost tribes of Israel and Africa came from Jewish organizations that are dedicated to these people, like Kulanu, Jewish Voice, many organizations that they know about the society for the study of African jewelry is an academic association for academics that focus on Jews in Africa, that have been publishing books, who have been doing research, like Professor Derek Lane, who’s German and I don’t even think religious. He’s just reporting the history of various tribes in West Africa. They’re saying where they migrated from. Onleilove: She reveals that her mom, Harriet Bogart leads Kulanu, which was a website that has so much documentation about African Jews. I was using Kulanu on my research and I said, “Your mom is my hero.” She sets me up with a meeting with her mom, who used to be an organizer, and who is now dedicating her life to disconnected Jewish communities in Africa, Asia, Latin America. Her mom, being an organizer, organizes me to volunteer with the Ghana Sefwi Jews, and then I get to go on a trip to Ghana and we stop and we visit the community. It was the first time an African American delegation visited them. They prayed for us in their synagogue before we went to the slave castles. They live by the Torah. Onleilove: When they migrated to Ghana many centuries ago, there was religious freedom. 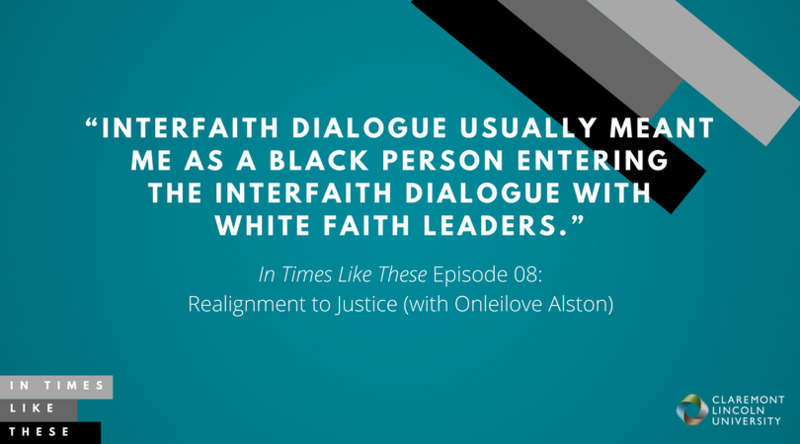 We talk about interfaith dialogue, but what I noticed as a black faith leader is interfaith dialogue usually meant me as a black person entering an interface dialogue with white faith leaders. 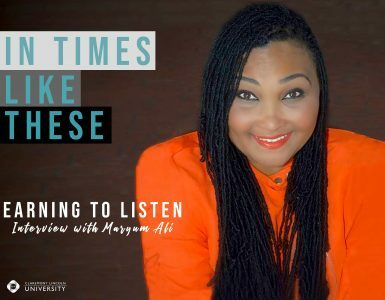 What does it look like for a black Christian, a black Jew, a black Muslim, and a black person who practices the Yoruba religion to dialogue together interfaith? They practiced their faith with no problem for many centuries, and then when slavery and colonialism happened then they started to get persecuted. Now today, even some of their own [inaudible 00:21:13] people oppress them. Onleilove: They are the subject of a documentary, Doing Jewish: A Story from Ghana, which you learn more about their traditions, you learn more about their migration route. But they have many millennial leaders now that are standing up. One of their elders pointed to me and she said in their language, “She needs to come back to teach women’s empowerment.” They didn’t even know what I did for a living. I said, “Oh boy, I got to come back now.” This fall I was also invited to Nigeria by Igbo Hebrew leaders to teach at many of the synagogues, to teach the women and to also come back. My mother’s family was taken from Nigeria, so it was a very impactful trip, but I was able to do Shabbat with them and see how they worship. Onleilove: I went back to Ghana for the Ashanti Queen Mother’s funeral and was able to meet with Michael, one of the Sefwi Jews because of the funeral for the Queen Mother. I couldn’t get back to the Sefwi community because the whole country shut down. But the Ashanti are also another group that say they migrated from Israel as well. This is something that maybe certain people know, but many Christians do not know. The Igbos lost some of the highest numbers of people to the slave trade. One in four African Americans have Igbo ancestry, like Bishop T.D. Jakes, Forest Whitaker, and then maybe 65% of African Americans. But people don’t know that the Igbos in their culture, they’ve always held that they migrated from Israel. Onleilove: Even though we say, “Oh, we’re not literalists. We’re looking at it academically,” but we still teach it like real people didn’t write it. Even if you don’t believe the literal words, literal people wrote it. What was the race of the literal scribes that wrote? Before the scriptures were written, they were orally transmitted. Who did this? Even if you don’t literally believe all the stories happened, who literally recorded those stories? 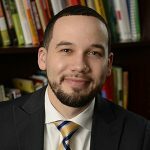 Through my six years of research, I’ve come up … even challenged myself as someone who considered myself a liberation theologian, we still have to even decolonize what liberation theology means. We think we’re taking a white faith, and decolonizing it to fit people of color in, but actually what happened is we’ve taken something from people of color, black people, African people and it’s been whitewashed. We’re actually, when we do liberation theology we’re returning it to closer to what it was [inaudible 00:25:17] fitting people in. Stephanie: Wow. Yes, yes, yes. 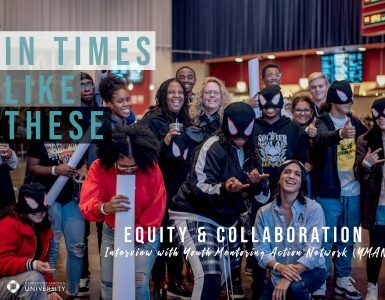 Okay, so one of the pieces that began your work on social media, you mentioned that you saw young people really struggling with a sense of justice and equity. So you started sharing bits of wisdom and perspective. Tell us more about that and the communities you’re working with, and the hunger that you saw, and how this connects to this retrieval and this theological work. Onleilove: I started posted on social media in about 2012. That’s around when Trayvon Martin happened. I was seeing a lot of younger African Americans really struggling with is the faith for them, is this a white man’s religion. But I also saw a lot of young people of all races, like young white Evangelicals struggling. To be honest, over the years and I’ve even had recently a younger white Evangelical woman come to me and say, “I’ve been hearing that this is a white man’s religion. I’m struggling because that doesn’t make me comfortable.” I started to see people asking real questions and feeling like they didn’t have a faith leader to ask, and DMing me on social media, which still happens, and really trying to struggle with a faith in America that seemed to be silent when their people were being killed in the street. Onleilove: I began to share some of what I was retrieving from our ancient past, and really trying to call people back to the roots of what the Bible stands for. Like Shane Claiborne said, like radical doesn’t mean what we think, but actually means getting back to the root. How are we getting back to the roots of what the faith actually was, and who actually was the leaders, and the faith, so that some of this disappointing stuff that we’re seeing, especially from the American church can be rectified. Dr. Thomas Oden, who was the white scholar and faith leader who started The Center For Early African Christianity, he was about to leave the faith. Actually discovering the African roots of the faith helped him stay in the faith. Onleilove: I met one of his students who came to the Union Theological Seminary chapel that I did for Black History Month, and he spoke to me after. He said, “Dr. Oden was my advisor, and truthfully his work didn’t become genius level work until he discovered Africa.” He was like, “When he discovered Africa, that’s when his work elevated.” That’s also when he was able to stay in the faith. I always say that yes, Prophetic Whirlwind is uncovering the black biblical destiny, but I think people of all backgrounds encouraged because I think many of us from all races are feeling very stifled by this Western version of Christianity. Especially in America in light of our political situation. Stephanie: Right, because if I seek in prayer and ritual and practice to align myself to Jesus and to God, and I’m literally pointing myself in the wrong direction. Stephanie: Right? So how nourished can I be if my roots are going around the source to try to get … Eventually it gets there. As a believer we believe eventually I’m getting there. But how contorted am I getting to try to get to that source? Stephanie: No, Onleilove. We have heard helpmate all my life. Onleilove: No, when you look into the Hebrew translation of the word, and Rachel Held Evans has done work on this, Skip Moen, who’s a Hebrew scholar, anyone who really … the Jewish just community, many black Hebrew teachers. When you look at the translation, it is not helpmate. When you look at Proverbs 31, it’s really not virtuous woman, but it’s woman of valor or woman of warfare. Stephanie: That’s different. That’s totally different. Onleilove: When you put the faith in the culture it was written in, then this is when you … There are so many distortions that have taken place. So by whitewashing Jesus, it’s not only impacting black people, but it’s impacting women, it’s impacting poor people, it’s impacting just white people in general. Like you said, if you’re seeking the Most High with all of your heart but you’re looking in the wrong direction, you’re looking to Rome when you should be looking to Jerusalem. You’re looking West when you should be looking East. You’re looking North when you should be looking South. You’re going to hit this roadblock, and then this is when a lot of young people walk away. We saw it in seminary. People hitting roadblocks, and people were walking away because you know something doesn’t make sense. Yashua said, “What you do to the least of these, you do to me,” but yet we don’t think his chosen people are the least of these. They’re literally … He wasn’t just making a nice metaphor. Onleilove: When you look at there isn’t one tribe of Israel, there’s 12. They were scattered. Zephaniah 3:10 says, “From beyond the rivers of Ethiopia my scattered people, my supplicants will bring the offerings.” Get a map. Look at where the rivers of Ethiopia are and beyond is Central and West Africa. This is not just Dr. James Cone writing God of the Oppressed to make black people feel good and white people feel bad. No, like literally the oppressed people of the earth are God’s chosen people, which that means for all of us. Stephanie: Right, we are all in misalignment. We are all contorted. Onleilove: If that means whatever oppression you may face, you can really know and believe that the creator of the universe is on your side. People get offended by the chosen people thing. The Hebrew people were slaves. They were born as a nation in slavery. In Egypt now, ancient Egyptians were black. But what people don’t understand is even some of the Torah laws were about how you help a people who are slaves look into full humanity, Jubilee, or even wearing fringes or [takaylet 00:32:38]. In the Ancient Near East, only elites could wear takaylet. When it was commanded that all Hebrew people and the strangers that sojourned with them could wear takaylet, it was saying everyone in this nation would be an elite person. Onleilove: Originally they were not even supposed to have a King. They wanted a King, that’s why the Igbo people, they will say, “We don’t have kings, we have Ezes,” but they treat their Ezes like kings. But it’s actually not correct to say King, even though it’s equal to a King. This message, for me, I always say it’s not a message of hate or superiority, but it’s just trying to get us back in alignment because right now when we look at some of the things that the Christian church in America is endorsing, it’s not in alignment. The young people of all races are looking and they’re like, “What is going on?” It’s not your fault if you feel like something is off. It’s not you that’s the bad person who doesn’t have enough faith; it’s the system that hasn’t presented or taught us the right things. 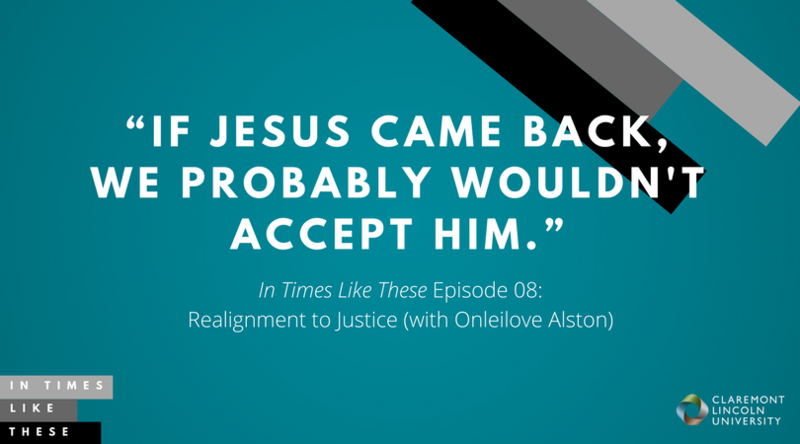 Onleilove: Many people in seminary start to have crisis of faith, but it’s not your fault. We haven’t been given the right information and the right tools. When I spoke at Why Christian, which is a conference that is held for mostly women to give their testimonies about why they believe in the faith, one of the speakers was a white trans person. After I spoke, that speaker said, “I need the black Jesus.” That opened my eyes because I was like … It was like 1,000 people, mostly white. When I did the altar call, a lot of people came up for prayer that looked nothing like me and said, “I didn’t know, I want to know more.” They felt that they could see themselves in these varied stories that I was bringing out. Onleilove: Many people sit in churches and they feel there’s this elite group that has been presented as these are the people close to God. These are the right people. The rest of us, if we don’t fit into that construct for whatever reason, we’re the outcasts, the sinners, even if we’re going to church. People are finding out those who have placed themselves as … Those who have placed themselves on high are not even the correct people. Onleilove: It’s a different orientation when you’re coming to your faith seeing this book was written by people who were former slaves, people who would people of color today, and this is the orientation, versus this is we’re coming and it’s the triumphant go with the cross and conquer people, wrote it. A different orientation, and so what I try to do is through social media and workshops, and the book really try to help us reorient how we’re examining the scripture when we come to it. Stephanie: Right. Could you talk just a bit about your work with WOMB, Women Organizing Out of Mass Incarceration and Brutality? Onleilove: When I was directing Faith in New York, and even when I was an organizer there we had a campaign started by Reverend Michael McBride, an African American pastor out of Oakland, who was a victim of police brutality, called Live Free. It was [inaudible 00:36:44] Lifelines to Healing. It’s basically a campaign to end police brutality and gun violence. Started among black churches and now it’s many different faith communities are part of it. They do a great deal of work with the movement for Black Lives. I love the campaign, but what I noticed is there wasn’t a lot of attention to women. Actually, though the highest number of people currently in prison are black women, the highest number of people entering prison for the first time are black women of childbearing age. Onleilove: Reverend McBride gave me the go ahead to really bring out this research. There’s a lot of incidence of police brutality against visibly pregnant black and Latino women. When it happened to a Latino woman in South Brooklyn, Councilman Carlos Menchaca asked Faith in New York to help. 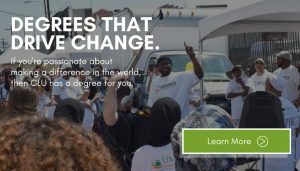 I began to really try to develop a campaign where houses of faith could help incarcerated women, so WOMB, Women Organizing Out of Mass Incarceration and Brutality is really like a campaign where I asked formally incarcerated women I knew who were organizers to help influence what the campaign would look like. I started presenting about women in mass incarceration. But also what I’m hoping to do is to really start WOMB circles where women of faith would come together to pray and support each other, and then [inaudible 00:38:20]type of advocacy stuff, and how mass incarceration is impacting women. Onleilove: I think we should really, whether they’re black women or white women entering prison for the first time, just women in general are entering prison, and it’s a totally different experience. A lot of sexual assault is happening to women by guards, being given 12 pads for the whole month, having your kids taken away or even born in prison, and then what happens when women come out. That was something that I was inspired to do, just seeing that within the police brutality world, and the movements for Black Lives. We need more focus on women. I’m happy to see many, many organizations are now focusing on women and mass incarceration. I’m definitely not the only one, or the first one. Stephanie: I’m really appreciating how this through line in all the different parts of your work is around helping all of us align ourselves with that which is true, and that which is just. Then once we have that realization, now we’re empowered to act. Stephanie: Now our posture’s in alignment, now we can act, each of us, each congregation, each group, each part of the movement, each individual can move forward. Stephanie: We’re talking about really heavy, heavy topics and I know that a lot of the violence, and a lot of the misogyny, and racism that we’re seeing just daily washing over us in our culture right now. What gives you hope? We’re still young, right? We’re still very young. There’s people younger than us. What gives you hope for what can happen in our lifetime? Onleilove: Well, what gives me hope is definitely my faith. I’ve been praying and reading the Bible since I was 10. What gives me hope is my faith community, my friends, my family, those who love me, even the communities I have met in Africa give me a lot of hope. People who have held on to their faith through migrations, and slavery, and colonialism, and maybe a tribe that has one piece of the Torah left, or the Jews of Timbuktu, which is like 1,000 of them left but they’re still holding on. It gives me enormous faith to see people holding on and still having joy. There was so much joy when I went to Nigeria, like so much joyful worship. Just what gives me hope is yeah, just the people that I’m in relationship with and doing this work in community. I have many, now, a community of scholars who do the same research, that pray for each other, that laugh together, that call me up about research questions. Many people now are preparing to go to Africa and support these communities. Onleilove: I think for me, hope flourishes in community. It’s like always remembering who you’re doing this work for. Reverend Alvin Herring, who used to be a Deputy Director, and PICO used to always ask us when he was doing organizing training, “Who do you love?” If you remember that when you’re doing whatever work you’re doing, then you’ll always have hope. Stephanie: Thank you so much, Onleilove. You have given me and us so much more to pursue, and so much more to consider and grapple with. I started this conversation not sure of my place in this landscape, and I’m so excited, I’m so enlivened. I’m enlivened by this research. I can’t wait to read the book. I can’t wait to see where [inaudible 00:42:33] goes next. Thank you so much. Onleilove: Thank you for all your support. It was good catching up. 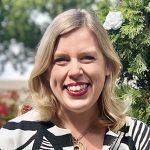 Stephanie: Thanks for listening to In Times Like These where we explore issues of politics and faith, and learn from one another how to navigate difference for maximum flourishing. In Times Like These, is a product of CLU Live at Claremont Lincoln University. For more, subscribe, share, and visit us at claremontlincoln.edu. 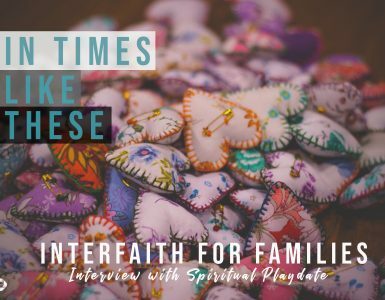 In the US, “interfaith dialogue” is often a place of privilege—mostly attended by older people, ordained people, and people with the time and resources to participate. But in other places in the world, interfaith dialogue happens naturally—and it isn’t always white people of the same socio-economic background. What does it look like, and what can we learn from these other examples? 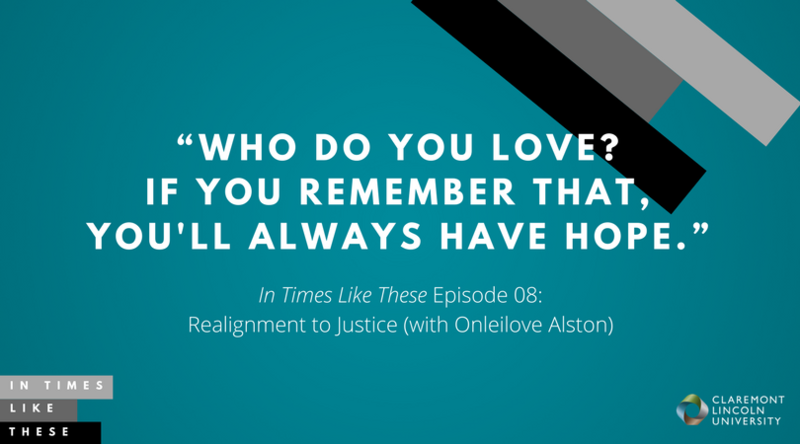 For Pastor Alston, community is where she finds hope and sustenance. The issues she works on are immense, and difficult: incarcerated and abused women and girls, young people who feel disenfranchised and hopeless, and poor people and workers who face injustices in housing, food scarcity, and workers’ rights. She teaches that grounding ourselves in love provides a sustaining energy to continue this work. Where do you find hope? Are you deeply connected to a community that sustains you? How can you build these kinds of networks in your own life? 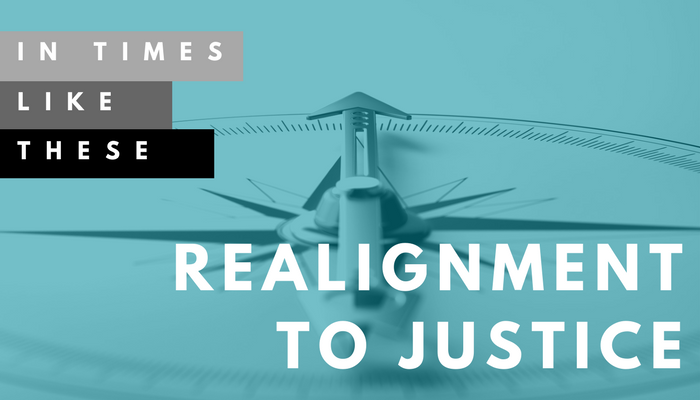 For many in the social justice movement, situating the person of Jesus in a white, American, middle-class appearance is deeply problematic, because it allows us to stop seeing people of color, poor people, differently abled people, women, and immigrants. Womanist and liberation theologies in particular seek to locate divinity in the oppressed to deliberately upend a version of religion that continues to harm. What does divinity look like for you? Is it a belief system that causes harm to others, or does it seek to bring about positive social change? You can find Onleilove on Facebook, Instagram, Twitter, and Youtube. You can connect with me on Twitter here: @SVarnonHughes. And you can always connect with us at CLU on our Facebook, Twitter, and LinkedIn accounts linked here.